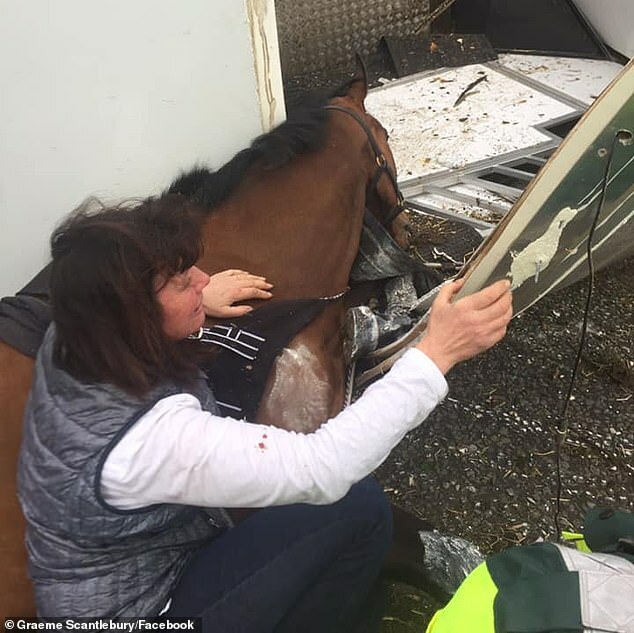 A racehorse died in the arms of his trainer after a vehicle towing him was involved in a 100mph head-on crash which ripped the side of his horsebox off. Six-time winner Rockwood was being transported back along the A15 near Lincoln after a race when the accident happened. 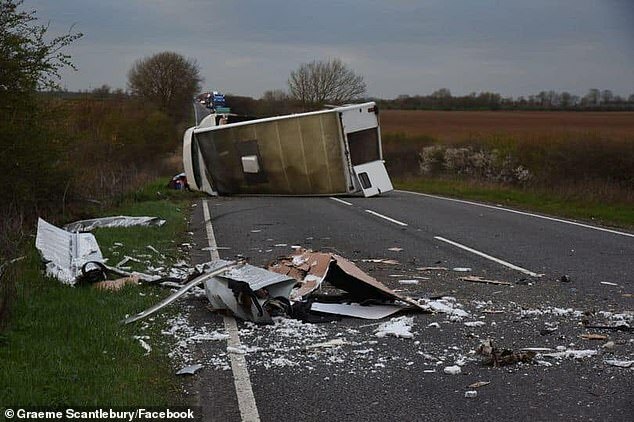 Driver Graeme Scantlebury claims a van going the opposite way was veering towards them but he said he couldn't avoid the collision and the side of their horsebox was ripped off. Both Mr Scantlebury and trainer Karen Mclintock miraculously escaped without barely a scratch but they couldn't save Rockwood - known as Rocky. Police are investing the crash which happened last Wednesday - Ms Mclintock's birthday - as they made their way back from Market Rasen racecourse. Mr Scantlebury posted on Facebook: 'The 27th of March was just a normal day for me, transporting horses up and down the country. I was booked to take a horse named Rockwood to Market Rasen for Karen Mclintock Racing. 'The day started well with the horse picked up on time, loaded and a photo taken of Rocky happily eating his hay for the connections. We set off in good time and Karen informed me it was her birthday, everything was good. 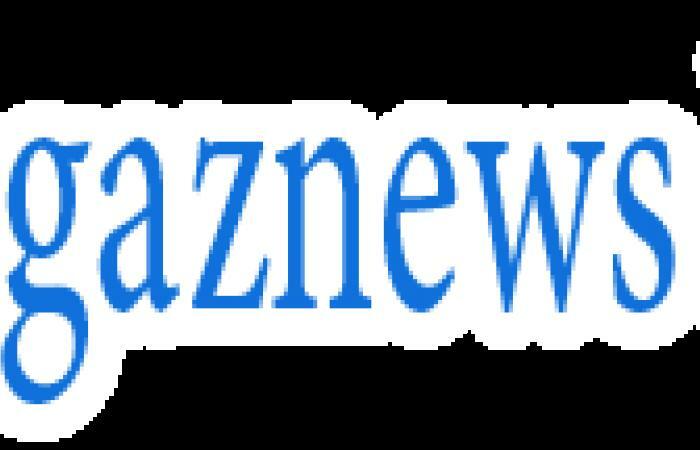 'During the three-and-a-half hour journey the conversation turned to the amount of crashes we see and the near misses we have had on these long journeys, in particular how many people we see texting.